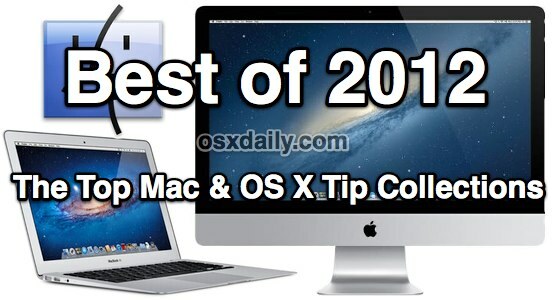 Master these tips and tricks for OS X and you will be more productive on your Mac. Maintaining your Mac is critical for optimal performance, but it shouldn’t be complicated. Here are a few super simple tips to follow to keep a Mac in tip-top shape. Whether you’re an advanced user or just want to learn more about the command line that sits underneath OS X’s GUI layer, these terminal tricks are essential. Everyone runs out of disk space sooner or later, but you may be surprised to find out where all your storage capacity has gone. Run through these quick tips and you’ll be freeing up tons of drive space on a Mac in no time. Does your Mac need a speed boost? Things slow down over time, and while these easy tricks are aimed at older Macs, they’ll work to speed up any Mac, even the newest models. If your Mac feels like it’s running slower than it should, there are usually reasons why that is. We cover the 9 most common reasons Macs start to run slow, and more importantly, we tell you what to do about it so you can be back to normal again. Macs are much more resilient to viruses, trojans, and malware than Windows PC’s, but they’re not completely impervious. The good news is, Macs are extremely easy to protect against such baddies, and with some simple tips you can protect any Mac from almost all known threats. Whether you just got a brand new Mac or you just want to get some new apps, these 11 apps are essentials for any OS X user, and best of all, they’re completely free! iTunes 11 completely changed the interface of Apple’s desktop media player and store, and while some people are OK with those interface changes, others would rather iTunes look familiar again. These tips will make iTunes 11 look normal again, so you won’t be fumbling around looking for podcasts, media, iOS devices, and that ever-useful sidebar. The Open & Save dialog windows are surely some of the most used in all of OS X, and these keyboard shortcuts will have you mastering those file dialogs in no time. For Mac users who type and write often – and who doesn’t? – learn these keystrokes that help you navigate and select text faster than ever before. Master iTunes with keystrokes for just about everything, from accessing libraries to controlling your media library and playing music. Did you know the OS X Dock can be navigated with just the keyboard? Forget the cursor, you can launch and switch apps easily without ever lifting your hands from the keys. Start the new year off with some beautiful new wallpapers that are already buried in OS X, all you need to do is uncover them!